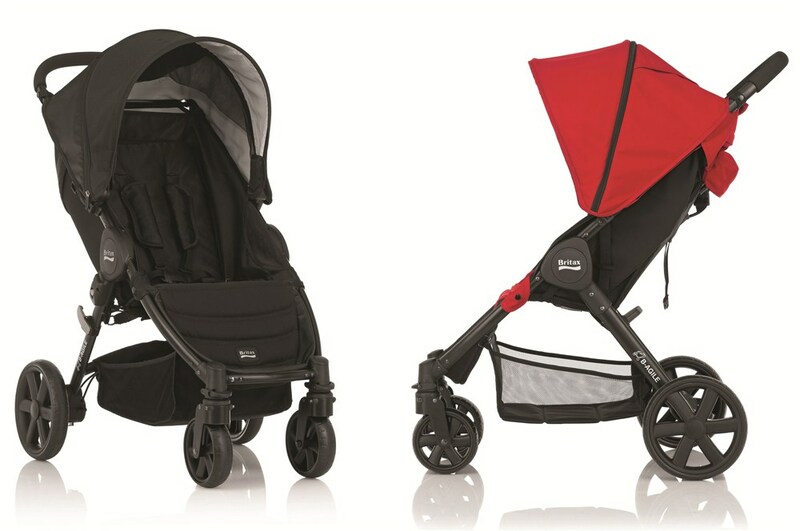 The Britax B-Agile is neat, lightweight travel system stroller offering a good level of comfort for the child. 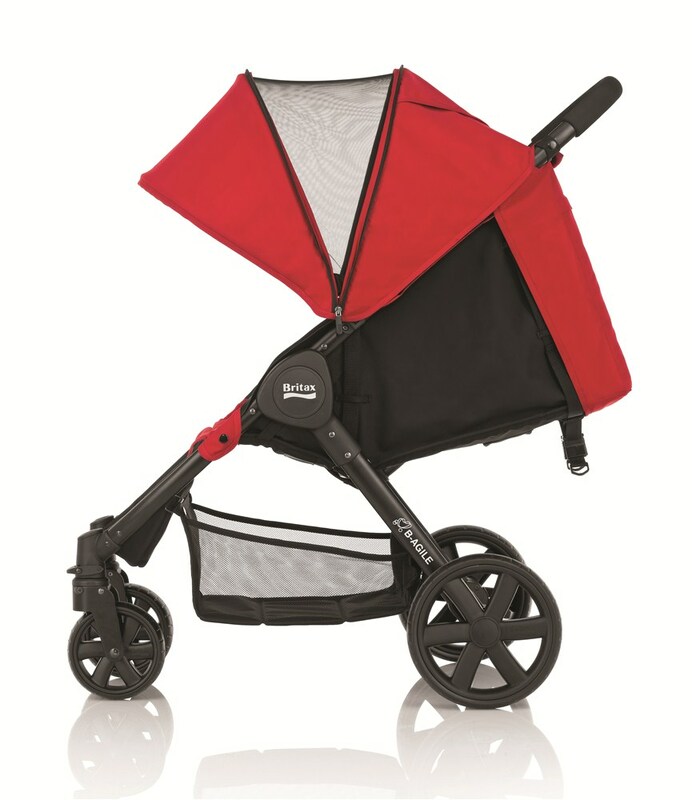 It features a two step, but one handed fold which is great for those times where you need to carry a baby or hold a toddlers hand. Offers an accessible storage basket and a huge hood with mesh panel for ventilation. Great one handed fold with locking mechanism and side carrying handle. Good padded seats for a comfortable ride. Good sized storage basket which is easily accessible. Lies flat so good for a newborn. 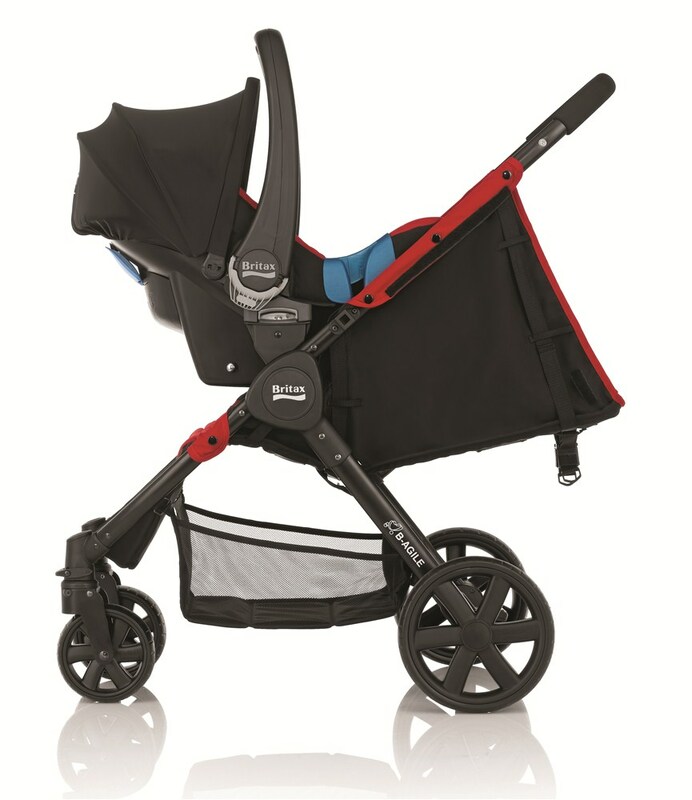 Will take a Britax infant carrier on adaptors. Storage in the rear of the hood. An automatic lock & secondary lock keep the B-Agile safely parked. Automatic fold lock. The handle is very low at 98cms. The handle is sponge and we question how easily it will get damaged. The Chilli is a beautiful soft fabric but it picks up dirt and fluff easily. 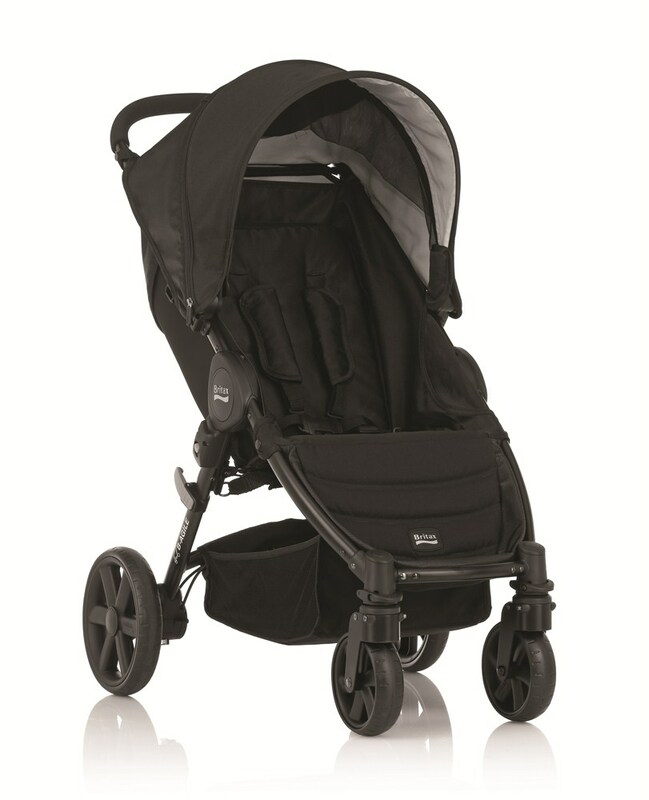 The black is the regular Britax fabric. The auto lock doesn't make unfolding logical - it's awkward. Puncture resistant Rear Wheels. Front lockable plastic swivel wheels. 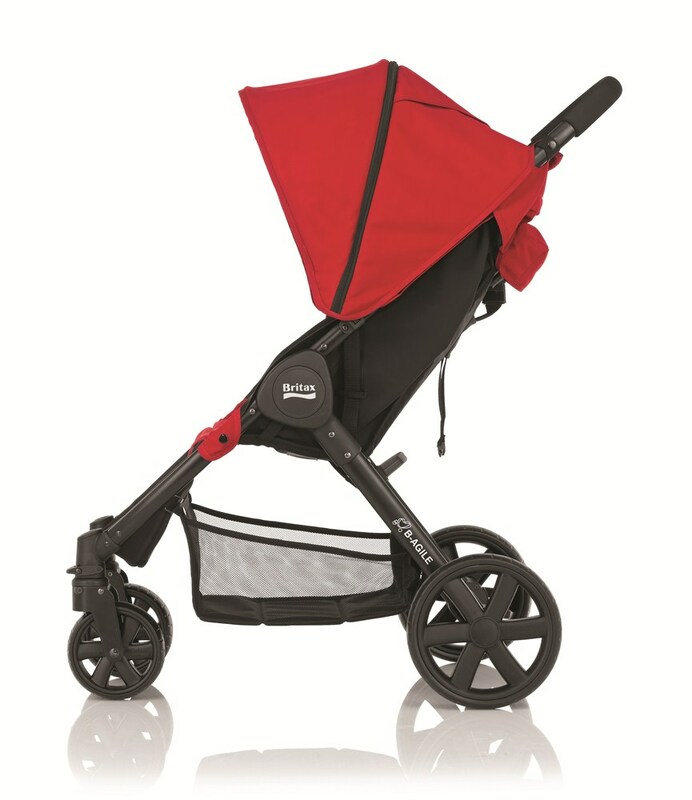 Can take a hard carrycot or a soft cot. Bumper bar available as an extra. The shoulder straps attach onto the harness using a sliding system, not a clip. This seems fine because unlike other brands these do not slide off constantly. However it does give you the option of a three point harness should you wish (although we don't recommend this).